Two traffic officers are killed on an isolated mountain pass in North Wales. 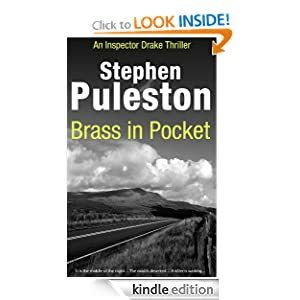 Inspector Drake is called to the scene and quickly discovers a message left by the killer – traffic cones in the shape of a No 4. The killer starts sending the Wales Police Service lyrics from famous rock songs. Are they messages or is there some hidden meaning in them? Does it all mean more killings are likely? When a politician is killed Drake has his answer. And then the killer sends more song lyrics. Now Drake has to face the possibility of more deaths but with numbers dominating the case Drake has to face his own rituals and obsessions. 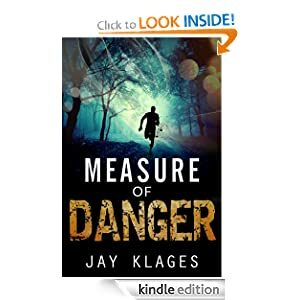 Finally when the killer threatens Drake and his family he faces his greatest challenge in finding the killer before he strikes again. Suicide – the act of taking one’s own life. Homicide – the act of taking someone else’s. An unethical banker suffocates. A diamond dealer slits his wrists. A media magnate freezes in the snow. A disgraced CEO inhales exhaust fumes. Four unpopular businessmen, four apparent suicides. Until Interpol find the same DNA at each death. Beatrice Stubbs, on her first real case since ‘the incident’, arrives in Switzerland to lead the investigation. But there’s more to Zurich than chocolate and charm. Potential suspects are everywhere, her Swiss counterpart is hostile and the secretive world of international finance seems beyond the law. Battling impossible odds by day and her own demons at night, Beatrice has never felt so alone. Someone else who believes in justice. BOOK LAUNCH – CAN LOVE CONQUER ALL? ~Tracey Garvis Graves, New York Times bestselling author of On the Island and Covet. Since the devastating failure of her short-lived marriage, Cathy has buried herself in her work and kept men at arm’s length. But when an old high school friend, Pam, brings her family for a short stay, Cathy’s stone walls begin to crumble when she meets Jamie. Jamie, whose compassion and warmth slowly break down her defenses. Jamie, whose devotion to his four-year-old daughter melts Cathy’s heart and makes her desperate for a family of her own. Jamie… who is married to Pam. A profound love that transcends time and place is impossible to resist. But is love more important than friendship? Are loyalty and fidelity an anchor or a chain? In the end, it’s all about choices – tough ones that can break hearts. Now Cathy must delve into the deepest places of her heart and ultimately decide the future for them all. Sometimes the toughest journey is the one that takes you back to your roots. For Katie, navigating life and love is trickier than walking barefoot on a beach full of broken shells. Maybe Katie will break the family cycle of alcoholism. Maybe she won’t. 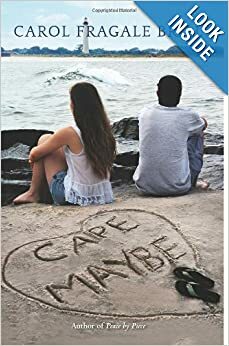 Set against the backdrop of picturesque, seaside Cape May, Cape Maybe traces the push and pull of Katie’s conflicting love for her erratic mother and steadfast grandfather and her ever-growing attraction to her best friend, Dennis. Katie’s life is shaped by her vow to be nothing like her alcoholic mother. Her reckless teenage choices test the strength of family ties, friendship, and first love. Ultimately about hard-earned hope, what we inherit, and what we choose to let go, in Cape Maybe, Katie discovers what she never expected about motherhood, forgiving yourself, and creating your own second chances. 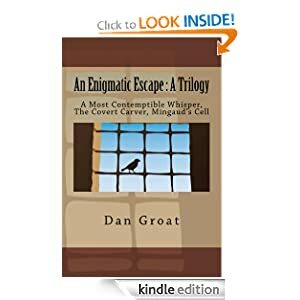 AN ENIGMATIC ESCAPE : A TRILOGY, Dan Groat’s second novel, is an anthology of three connected works: the short story, “A Most Contemptible Whisper,” an eerie narrative from the troubled mind of a man struggling to cope with the sudden death of his wife; the novella, “The Covert Carver,” the poignant story of a man who goes searching for a meaningful retirement and finds both danger and insight; and the novella, “Mingaud’s Cell,” the quirky tale of a unique family group fighting unwanted change forced upon them by the government. Geologist Trace Brandon and his partner Will Coffee are just back from Liberia, West Africa. Cashed-up and looking for a new venture, they once again team up with Cyrus “The Virus” McSweeny. This time the quarry is the silver-rich ore of the old Ruby Mining District. And this time they’ll not only have the Pantelli crime family to deal with, but also lumberman Autry Ollinger—three hundred pounds of obnoxiousness whose preferred method of negotiation is a right hook. 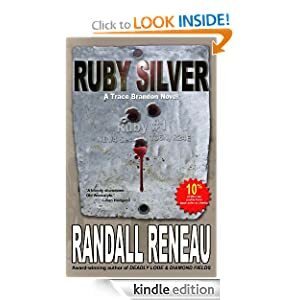 When the Pantellis unleash a bizarre extortion plot to seize control of Ruby Mining Company, Cyrus is forced to bring former clandestine operative Marion Thistlewaite out of retirement. Marion’s unique expertise may give them the edge they need to hold on to their company . . . and their lives. 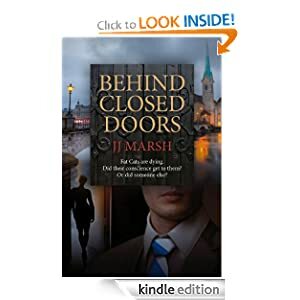 Kade Sims is a young former intelligence officer recruited to secretly collect evidence of organized crime at an agricultural biotech company in rural Oregon. But when he uncovers the activities of a high-tech militia and an imminent threat to the nation, he realizes he’s the only one who has a chance to stop a savage terror attack already in progress. 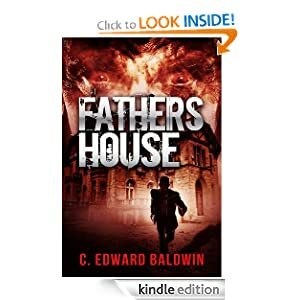 While prosecuting the case of a teen involved in the beating death of a fellow teen, assistant district attorney Ben Lovison discovers the existence of the clandestine crime syndicate, Fathers Disciples and its enigmatic leader known only as “Father”. 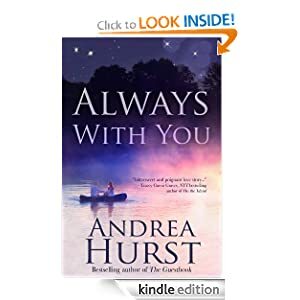 Ben soon learns that the syndicate controls the city, including the district attorney’s office and may have been responsible for his mother’s death and the disappearance of the father he never met. Worse, the syndicate has somehow ensnared him in a decades-long citywide corruption scandal.